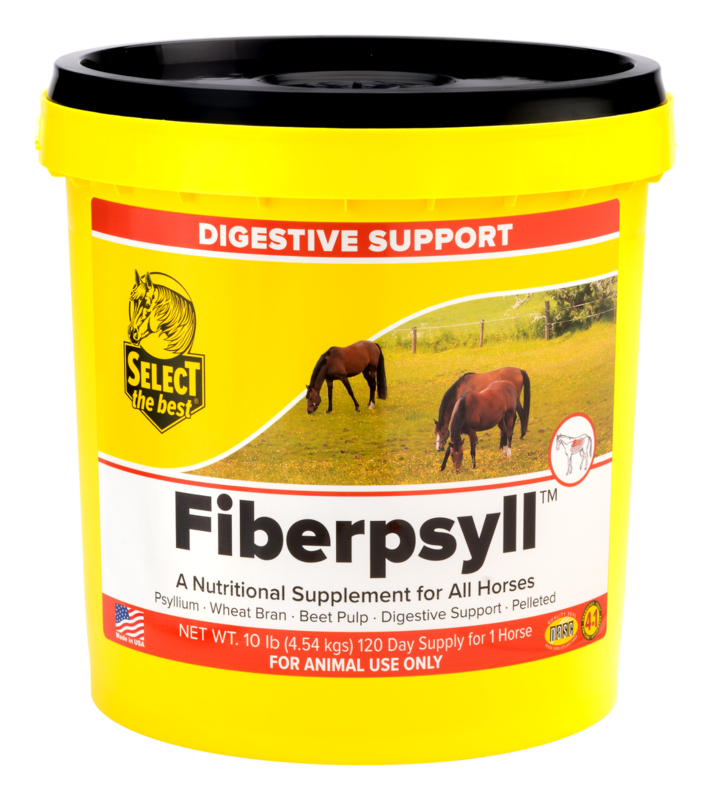 Fiberpsyll now includes a 4-in-1 digestive support enhancement which contains probiotics (direct-fed-microbials), prebiotics (mannaoligysides), with live yeast and includes beneficial enzymes that work together to promote both healthy and efficient digestion. Recent research shows that the inclusion of microbial support greatly improves the removal of sand in the ventral cecum over straight psyllium alone. Additionally, research also suggests that there might be another use for psyllium: the control of blood glucose and insulin concentrations. 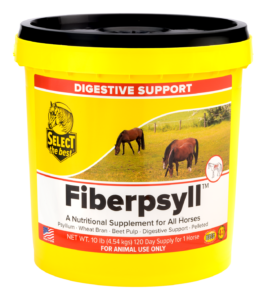 The research shows that psyllium supplementation to horses resulted in lower average blood glucose levels after feeding.